We never get tired of reading stories about pure-hearted underdogs rebelling against a vast, evil empire. Except when we start to suspect that the rebels are just too dumb and incompetent to let them be in charge. Here are 10 evil tyrants who are actually better rulers than the rebels trying to replace them would be. A lot of the items on this list go into deep detail about the successes and failures of various heroes and villains. As a result, huge spoiler warning right here in advance. The thing about Ankh-Morpork is that it makes a very good case for tyranny. On paper, Vetinari is the classic evil villain. He wears all black, he's got a goatee, he was educated by the Assassins’ Guild, there are rumors he’s not completely human. . . and is probably the best ruler the city’s ever had. Vetinari’s machinations have brought Ankh-Morpork a modern police force, a diverse populace that is mostly tolerant of each other, efficient communication, and financial prosperity. It’s pretty universally agreed that Ankh-Morpork functions better with him than without him. This is a city that laughs at the very idea of democracy. It doesn't hurt that his rebels tend to not be the disenfranchised, but the wealthy and noble, who prefer “the good old days” of doing whatever they wanted to their “lessers.” There was the Unique and Supreme Lodge of the Elucidated Brethren of the Ebon Night, who used a dragon to depose him and restore the monarchy (Guards! Guards!). Or the time a cabal of prominent people tried to poison him, which forced Vetinari to pretend to be poisoned in order for the plot to be discovered. (Feet of Clay). Or the “Committee to Unelect the Patrician,” a group of, again, wealthy nobles who tired to frame Vetinari and get him replaced by their puppet. (The Truth) With Vetinari, the real fear isn’t that he’s alive and in charge, it’s what would happen if he died. As a current work, Continuum gets a special mention for having a protagonist who is an officer of the oligarchic, corporation-driven government in a near-future dystopia. The rebellion is called Liber8. Just looking at that spelling should make you root against them. While Liber8 (ugh) is trying to get rid of a dictatorial, corporate government, they're also completely willing to kill thousands and meddle in time to achieve their ends. Meddling in time is always a bad scene, and there's always a strong chance that things will be made worse, not better. They may be on the right side, ideologically — it's just hard to be on their side when their methods are so awful and their members blood-hungry. Plus, with the time travel, the North American Union isn't really present. Their representative is Kiera Cameron, who, despite the side she works for, is clearly a decent person, while Liber8 is clearly awful. It’s pretty much commonly accepted fact that the prequels were a mess. 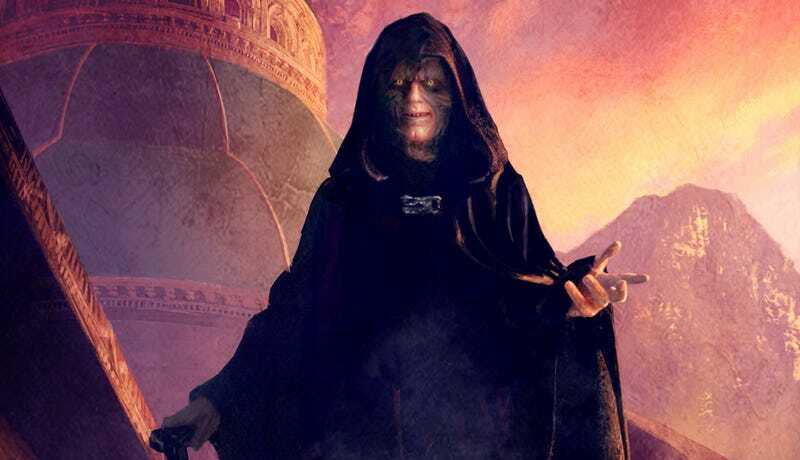 Among their flaws was the fact that Palpatine consistently came across as the savviest person in the galaxy. This was bolstered by two things: 1) The fact that Anakin was busy exhausting the audience’s hate reserves every time he was on screen and 2) Ian McDiarmid’s gleeful, shrewd performance as Palpatine. In fact, the prequels present the Republic as ponderous and inefficient, and the Jedi as rigidly dogmatic. By contrast, Palpatine’s briskly efficient Empire, with its army of clones, makes sense. Taken on its own, the prequel trilogy doesn’t inspire a desire to join the Rebel Alliance. The Expanded Universe takes this a bit a further. On the one hand, it makes clear that life under the Empire, in between the prequels and the original trilogy, was awful. On the other hand, OMG GRAND ADMIRAL THRAWN. Thrawn is arguably the best thing to come out of the EU. His plans are brilliant and, quite frankly, his turn in charge of the Empire doesn’t make him seem like that bad of a ruler. Cold and calculating, yes — but not insanely murderous. Again, compared to the never-ending political maneuvering of the New Republic/Rebel Alliance (Just shut up, Borsk Fey’lya), Thrawn’s side is definitely the easier one. Plus, where the Rebels seemed to rely on luck a lot, both Palpatine and Thrawn had master plans that were carefully thought out and enacted. Sometimes you just have to reward that kind of positive thinking. In this Asimov short story, the government controls scientific research with an iron fist, constraining scientists to very specific areas of research. A professor of ancient history, Potterly, wants to use a chronoscope to look into the past. Also controlled very carefully by the government? The chronoscope. Potterly then assembles a team of rebel scientists to create his own. The plans of which are then published, enabling anyone to make one relatively easily and cheaply. Except it turns out that the government wasn't suppressing the research just for authoritarian kicks — but because chronoscopes basically allow anyone to look at anything that's just happened. In other words, the government was trying to protect privacy by preventing the spread of technology that allowed people to spy on anyone else's life. Oops. Stupid rebellious scientists. The creator is responsible for his newborn's behavior and teaching of the laws before they can be released on their own. By letting a newborn hunt conspicuously the penalty will be death both to the newborn and its creator. Even if the newborn is ignorant of the law, his rash acts are still punishable by death. Vampires' interaction with humans must not draw wide attention. If a human becomes aware of them, the vampire at fault would be responsible for silencing that human. This mostly leads to two options: either make the human join the immortals or silence that human permanently. These don’t seem irrational at all. They seem like logical rules designed to keep the existence of vampires a secret and prevent the creation of ignorant and dangerous vampires. The melodrama of the Cullens and friends, on the other hand, has a lot of us wishing the Volturi really would just eliminate them once and for all. And then swan off in a swirl of velvet fabulousness. The original idea of this series was to explore a world where the prophesied hero did not win, and instead there were years of rule by evil. The first book followed a ragtag group with an elaborate plan to topple the Lord Ruler. As he dies, the Lord Ruler says, "You don't know what I do for mankind. I was your God, even if you couldn't see it. By killing me, you have doomed yourselves..." And it later, it turns out, he was mostly right about that. To be sure, he was definitely a crazy despot, strangling the advancement of humanity — but he was also trying to save them from a worse threat. And instead of a flowering of freedom and prosperity following the his death, things go from bad to worse. And given that choice, the bad guy stops looking quite so bad. Lesser of two evils and all that. It's pretty easy to see what kind of ruler you are when you're called "Kal Zakath, Dread Emperor of Boundless Mallorea." It's even clearer when you know that "Kal" means "King and God." But by the end of the series, he's essentially a good guy. But the important thing about Zakath is that he was the best ruler before he was friends with the heroes. Zakath is an Angarak, who are divided up into Malloreans, Murgos, Thulls, and Nadraks. The Murgos were ruled by Taur Urgas, who was super-crazy and tried to get at Zakath through the girl he loved. King Gethell of the Thulls was stupid and cowardly. The Nadraks were ruled by Drosta, and made better merchants than kings. So while Zakath is trying to kill all the Murgos and threatens to have Gethell crucified, his empire is still the best managed. He breathes life into the well-organized and cultured Melcenes, and brought them into the empire. And then there's the fact that his enemies are the Grolims, priests with a penchant for human sacrifice and Zandramas, an ex-Grolim acting to bring about the victory of a dark prophecy. In order to do that, Zandramas needs a pliable Angarak king. So her minion Naradas tries to poison him. Even without his personality change, he's still a better bet than any of the alternatives. It’s no accident that the leader of the rebels in District 13, Coin, is arguably a worse person than Snow in the Capitol. There's no good choice in this world. You have District 13’s aggressive, Soviet-style regimentation, versus the Capitol’s aggressive superficiality and classism. Similarly, Coin and District 13 are no less manipulative than the Capitol. They stage photo ops and propaganda for their side, just as the Capitol does in previous books. Coin isn’t a pleasant or nice person, and she actively dislikes Katniss. Hilariously, Snow is the only one who's honest with Katniss, and when he threatens her, he does it with style. Finally, there’s the fact that, once they’ve won, the rebels have the Capitol’s children participate in a brand new Hunger Games, too. At that point, you start to wonder if there was even a point to the war. If all this misery is going to happen anyway, why not avoid the devastation of the rebellion? So the BBC's version of Uther is a competent ruler, until he makes a magical bargain that gained him a son and lost him a wife. At which point, he turns into an anti-magic fundamentalist, "purges" the realm, and has a standing policy of executing accused magic users. He also seems genuinely devoted to his family and, other than the bias against magic, a perfectly competent leader. For secret magic users Morgana and Merlin, it seems like they should just wait out what little there has to be left of Uther's reign, and work with the more sympathetic and liberal Arthur when he ascends the throne. While not viscerally satisfying, that seems to be the way to get us all to the Camelot we're expecting. Just wait for Uther to die — which, admittedly, is even harder to want when he's Anthony Stewart Head — and have a quiet revolution. But then Morgana loses her mind, goes evil, and tries again and again to murder Uther. And, when that doesn't fix the hole in her feelings, Arthur. And while she's allied with persecuted magic leaders, her rebellion caused the deaths of a whole lot of people. Oh, and she ended up convincing Arthur that Uther was right about magic. Fails all around, there. Never has a rebellion been less appealing than the humans of Zion. In The Matrix, the idea of choosing between the unreality and slavery of the Matrix and the freedom but post-apocalyptic real world gets explored with some nuance. But then, in Matrix: Reloaded, the Wachowskis make the mistake of bringing us to Zion. And it's... apparently a giant rave. And they reveal that Neo's big hero moment at the end of the the first movie was less a decisive victory and more of "an accidental creation of a super-virus in the form of multiplying Smiths." So the rebels live in an awful world, and are also really awful at rebelling. The machines, through the Matrix, have created a mechanism of control where the cage isn't that bad and, it turns out, much better than the alternative. It's even said that we're given a choice. If the mind's free to live a life it chose, who cares that the body is being used as a battery? Especially when the alternative are the dancing fools in Zion. Blue pill all the way, guys. Doctor Who, the Master. Specifically in "The Last of the Time Lords." It's still stupid that he lost to a rebellion of happy thoughts. Thanks to Ellie Phillips for her suggestion and help.